Both Umbria and Tuscany have a wealth of concerts, antique fairs, plays, exhibition and operas. Although most of these happen in the summer months, there’re still plenty of things to do throughout the year. Each small mediaeval village has it’s own seasonal fair, whether that’s Montone’s international film festival, which is very good, to the Palio in Siena. You will find a vast dichotomy of traditional regional cultures. 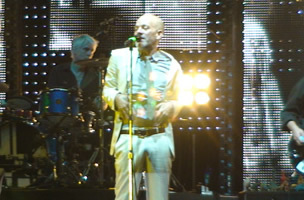 One of the main attraction in Umbria is Umbria Jazz, which takes place in June in Perugia. It’s billed as a Jazz festival of Italy and for good reason. I was previledged to see James Brown just before he moved on to the soul station in the sky and the year before last R.E.M headlined the festival. So it’s not just Jazz! B.B.KIng (2004, 2009), Burt Bacarach (2009), Chet Baker (1976), Tony Bennett (1996, 2007), James Brown (2006), Miles Davis (1985), Dizzy Gillespie (1976), Herbie Hancock (2008), Al Jarreau (2007), Alicia Keys (2008), The Manhattan Transfer (2004), Van Morrison (2003), Caetano Veloso (2003) and Prince (2011). Keep following the blog as we post forth-coming events. If you want something special and off the cart we can arrange that for you too. Apart from the normal massage, pilates and yoga lessons, after 8 years of living here we know a number of secret places, tips, restaurants and facts that will make your stay with us fun. Other must do’s in Umbria and Tuscany. Drinking too much delicious Tuscan and Umbrian wine whilst enjoying a wine tour (private t-total drivers can be arranged). Great fun but very over priced! It’s not Henley boot fair!!! It is however a must. Every first weekend of the month. The Palio in Siena (July & August). If you have a friend with a first floor balcony all the better. Otherwise it’s three hours of playing sardines to maybe glimpsing 10 minutes of action. Not for animal lovers as it can be violent and dangerous. Calendimaggio, Assisi, first weekend after the 1st May. The whole town dresses in mediaeval costumes, ancient games and plenty of merriment. It’s brilliant! Florentine football from the renaissance takes place in June. It can be pretty violent, rules are minimal. Pisa, Gioco del Ponte (battle of the bridge). Two teams on the separate banks of the Arno grapple and battle it out on the Mezzo bridge. Wine festival at the beginning of September. You buy one glass and get 5 free. Lots of fun if you’re not the allocated driver. Whatever your fancy remember that a lazy day can be just as enjoyable.